Porridge has to be the perfect breakfast for those with a busy morning! As a complex carbohydrate, it releases energy slowly through the morning, and it is also very good for the heart. 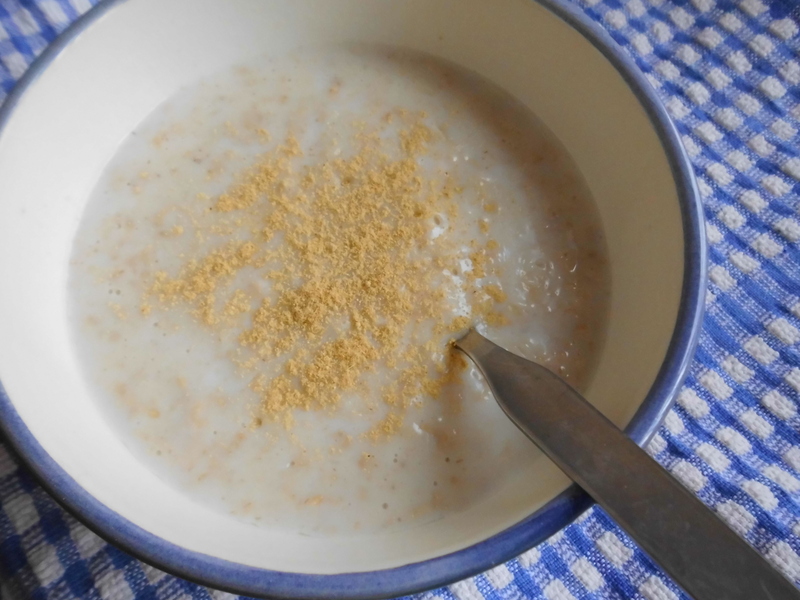 Andrew: I had a Scottish friend who insisted porridge be made with water and salt. Not to my taste. Dawn: This however is a healthy version, and with some fruit added too, is even better for you. Andrew: This is one variation: plenty more at the end! This is for one person. The secret here is ratio. Too little liquid and it is too dry, too much and it is sloppy. 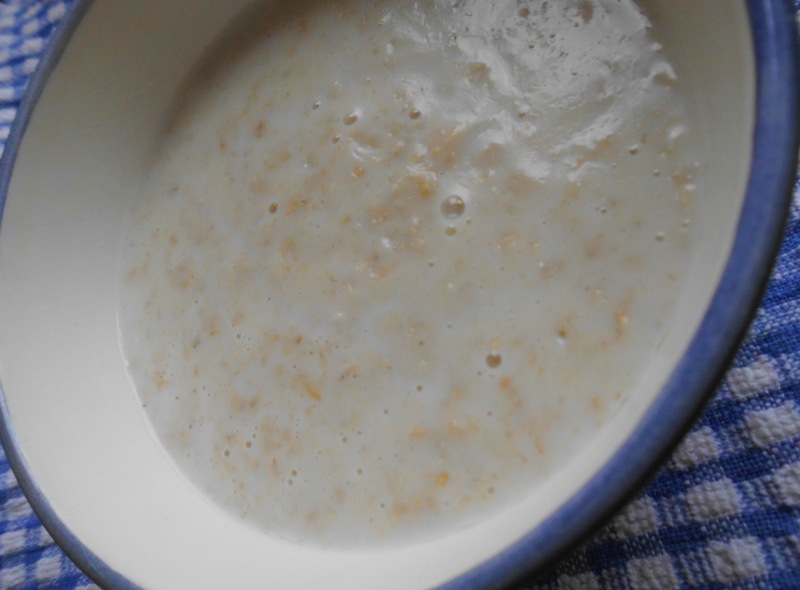 Place the oats, milk and water in a saucepan on a low-medium heat. The porridge will thicken slowly. Keep stirring, so it doesn’t stick and burn. When cooked to your satisfaction, serve immediately. Choose the bowl carefully. A deep bowl will retain the heat longer. Please don’t burn your mouth. 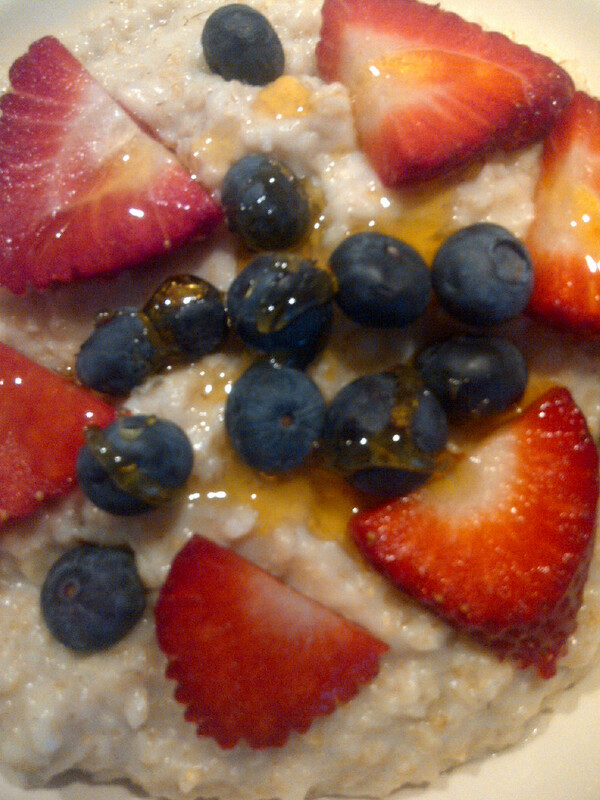 Top with sliced strawberries, blueberries and a drizzle of golden syrup. Dawn: I like honey, too. With bananas. Andrew: When I have no fresh fruit, I like to use raisins. Dawn: Apples, any berries, even a little granola would be brilliant. Keep following the blog https://forfoodlovers.wordpress.com and our Twitter feed @Love_Food_UK for daily tips.